I have a bad browmance story to tell. .
Back in the days when Koreanovelas was still fresh in the Philippines, I was an avid fan of Stairway to Heaven. Fresh faces with silky smooth complexion, I was really envious of their thick clean brows. And as a teenager with bushy brows, I was really insecure of how I look. Then one night, my insecurity swallowed my self-esteem. I got a pair of scissors. And cut off the my arch. It was a nightmare. I looked like I had a scar from a fight. Horror of horrors my good intentions became my worst beauty nightmare! And to keep my little secret, I chopped off my hair and put bangs to hide it. Lesson learned: Don't dare to lift a finger on your brows! Always seek for professional help. Last Saturday, I was invited to try Browhaus Brow Salon at Greenbelt 5. 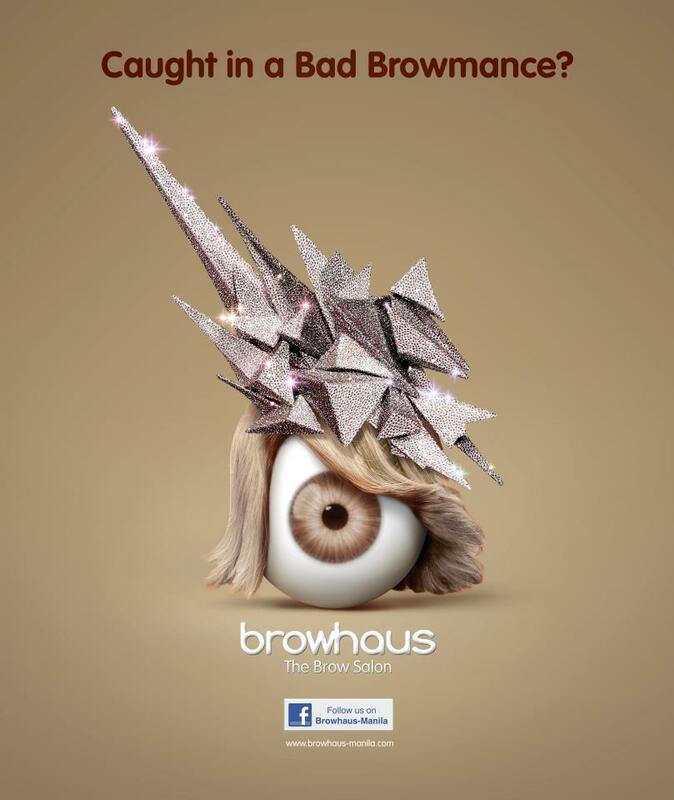 Browhaus is an international brow and lash salon franchise from Singapore. There are 2 branches in the Philippines. One in Serendra which started in 2009 by Ms. Tab Abad and second, in Greenbelt 5 which started in 2008. They also have a salon in Boracay which opens seasonally. Every branch has its own theme, and as for Browhaus GB5, their "submarine" theme is eye catching and very interesting. as mrs. orangy the orangutan and her babies, right?! The ambiance of the salon is very relaxing and welcoming. Their 7 brow architects including their Operations Manager, Ms. Shayne Tiuman, are all kind enough to accommodate every customer. They answer each queries with enthusiasm and encourage their customers to seek for any clarifications. Janela, my college friend, used to shape my brows for me. But now she's working overseas, so I try my best to learn on how to keep my brows in shape, but despite of my best efforts, I can't achieve the perfect brows that I need. And today's the day I need to make a change! Browhaus brow architects were trained by their mother branch in Singapore. So, don't fret! They are the experts. The treatment that I'll be having today is called Browgraphy. It is the combination of Color tweak and threading. First off, Color Tweak - since I dyed my hair. They are using hypoallergenic products imported from their mother branch in Singapore. So, no need to worry about dyeing your brows! Next will be the threading and plucking of brows. 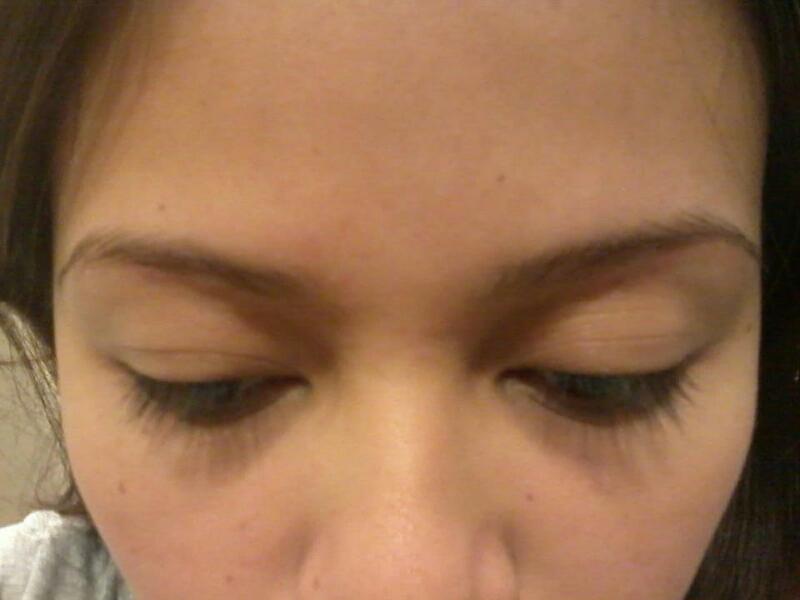 This was my first time to try eyebrow threading. For those ladies who shave their brows, I would advice you to keep your hankies on hand! You'll get it once you're already there. haha! And now I'm done! Their high-end electric chair for the eviction of guilty brows is very relaxing and I almost fell asleep. Currently, they are offering their newest service which is the Brow Resurrection. It is a temporary hair like eyebrow tattoo. It's really fascinating how they transform each guilty brows with perfect looking brows. Love their services? You may want to try their Browhaus Savings Plan! They have a lot of packages to choose from, just ask their brow architects and they'll be glad to explain them to you. Fast growing hairs? Try their Strip Peace. It is anti-inflammatory which retards hair growth, moisturize and kills bacteria. They also have an on going promo for Strip, for every Brazilian treatment pay only P1,500 & get an ampule of Peace Strip and you'll save P250.00! I'd like to thank Ms. Shayne Tiuman and Ms. Tab Abad of Browhaus Greenbelt 5 for the wonderful treatment of my brows and tokens. And oh! In case you ran out of cash, they accept ALL MAJOR CREDIT CARDS (Visa, Mastercard, JCB, Amex, BPI Express). Tell us about your bad browmance and Show us some la-la-love! Like this blog? Click here to get the latest updates. I'm open for Questions, Suggestions, Promotions and anything under the sun, kindly leave it here and I'll answer them as soon as possible. La Senza - Philippines Happy Hour TODAY!